Mars Hill is a church where love works! Serve your community with love, passion and care. Soon we will launch into the community with service projects that you can choose to participate in. You can be part of a team serving schools, homeless agencies, community organizations, and many others. Every year we will make it our mission to support local schools with back to school supplies to help our community students go back to school prepared to learn. You can help by donating school supplies for the backpacks we will purchase for the event. Every Thursday we serve over 150 families a week with food from our Community Service Food Bank. Our volunteers work tirelessly each week to bring this service to our Sanford community. 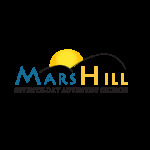 Want useful articles and stay up on whats going on at Mars Hill? Subscribe to our Awesome Online Magazine. Thanks for signing up for MH News!